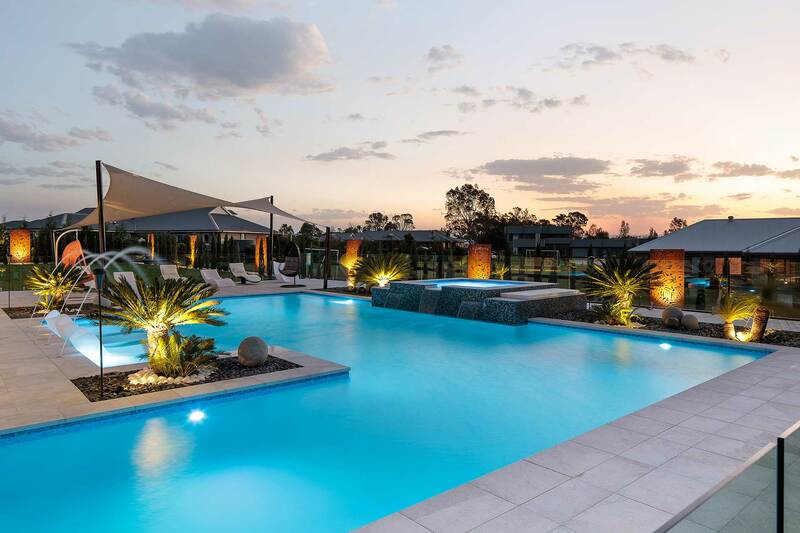 This simply stunning pool, spa and feature pond combination was designed with outdoor entertaining front of mind. 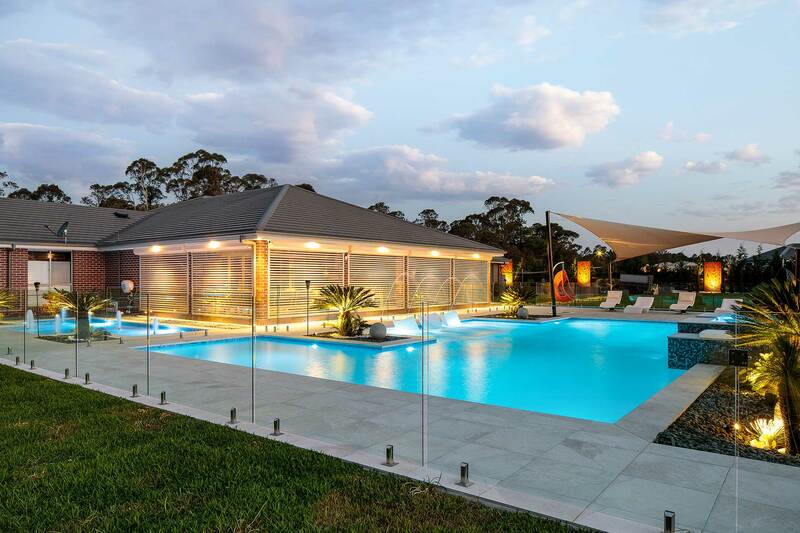 Strategic positioning next to the custom-designed alfresco area provides seamless integration between the internal and outdoor entertaining areas. 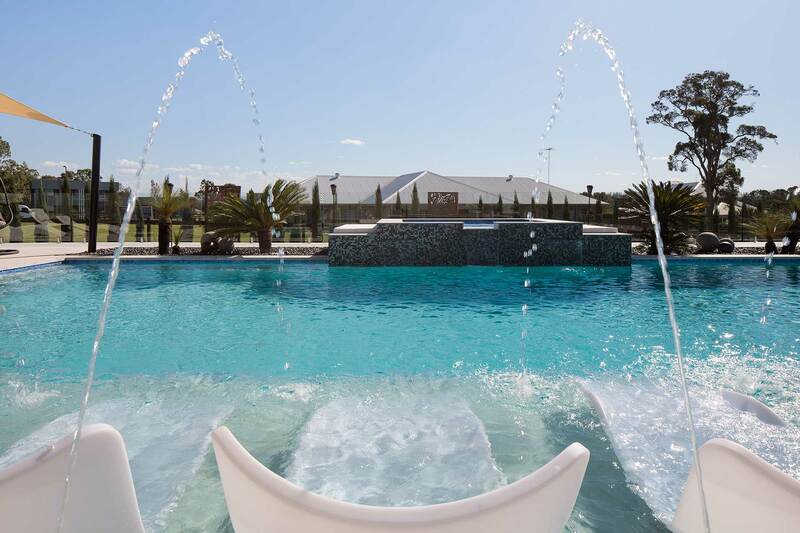 By day, the pool area is reminiscent of an aristocratic French estate with its elegant water spills and fountains. 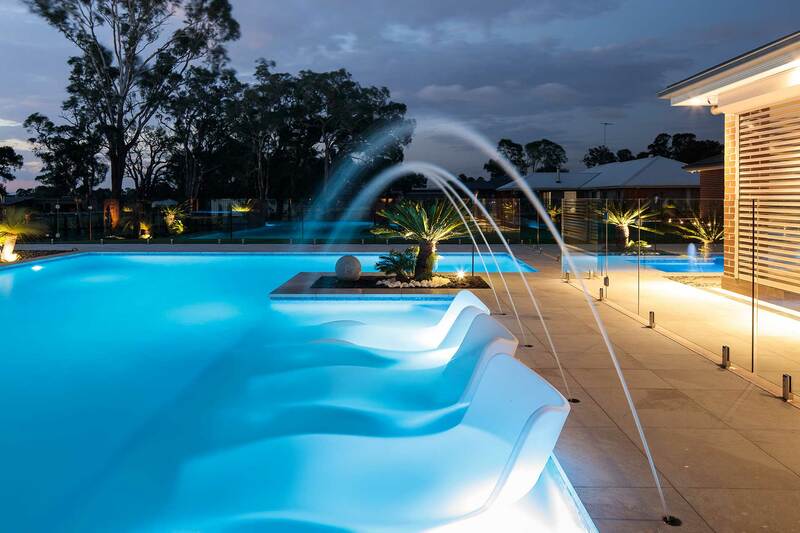 By night, the feature lighting illuminates the landscape design to achieve the feel of a tropical paradise resort. 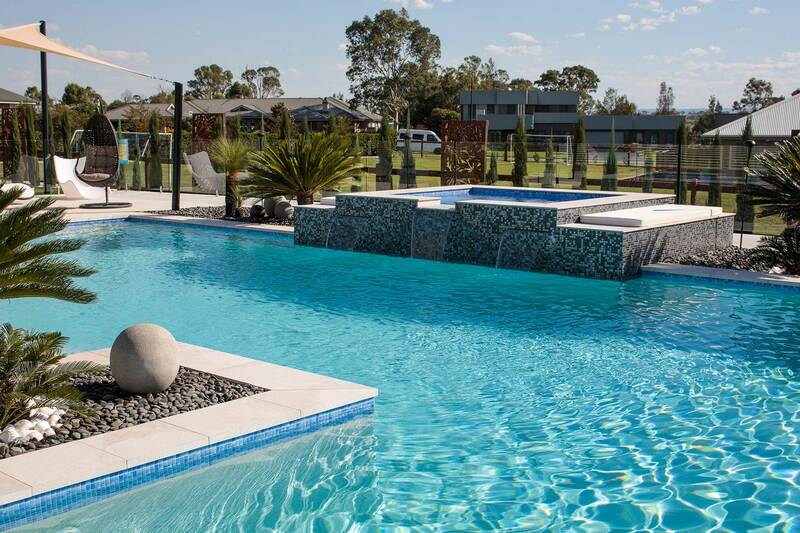 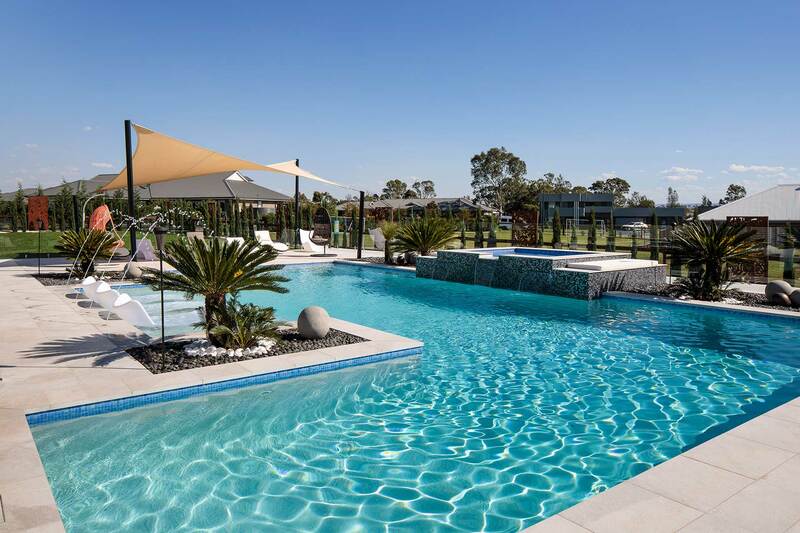 Waterline tiles offset the resort white/blue fleck pebblecreek interior and light coloured stone paver, drop-edge coping. 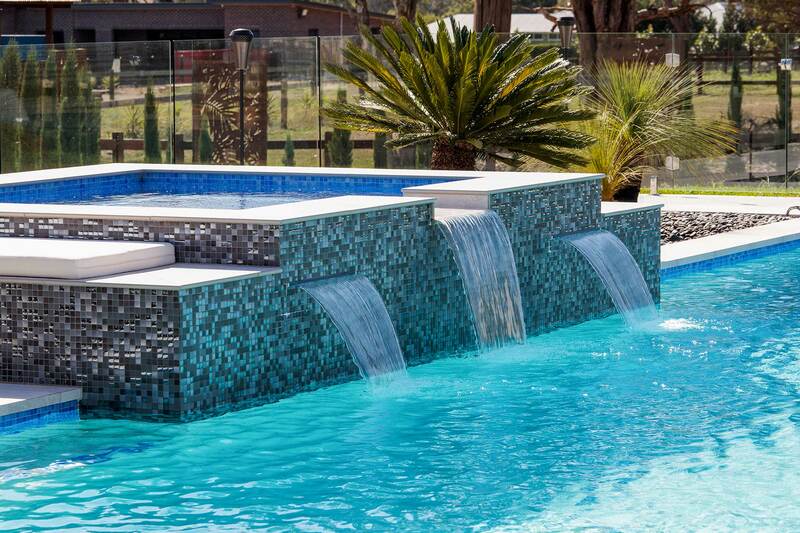 The stunning dark-blue tiles featured in the pond and raised spa add visual interest, while the large submerged ledge (complete with bubblers, deck jets and lounges) provides the ultimate space to relax. 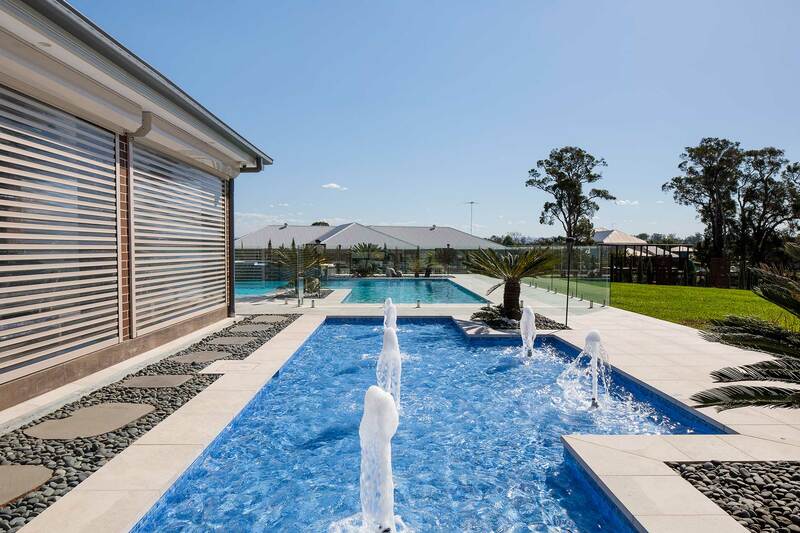 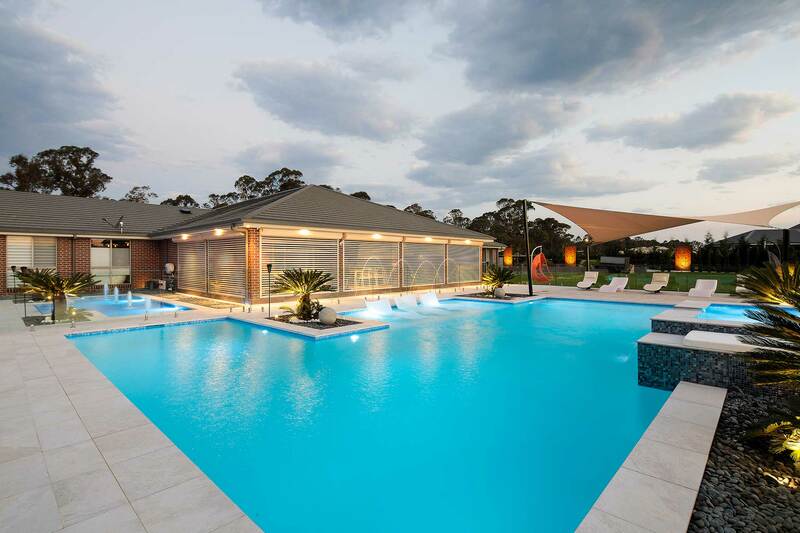 The pool spans 14m x 9.5 metres at its widest and the depth ranges from 1.2-1.8 metres.